Lubricant Applications: House Hold, Mechanical. 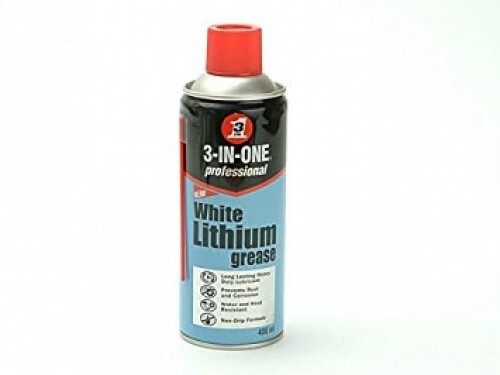 White lithium grease for heavy duty applications. This is the ideal lubricant, preventing rust and corrosion for automobile, marine and workshop use. With no hazardous chemicals, its also safe around the house on sliding doors, windows, hinges and garden machinery.